Who doesn't love a freebie? We do, and giving away blinds is even better. We haven't got any competitions running right now, but check back for more in the future. 1. Only Australian residents over the age of 18 may enter the competition, excluding employees of Blinds Online and their families. 2. Entrants are restricted to just one entry per person. 3. Because the prizes are bespoke and made to measure, it may not subsequently be returned. 4. 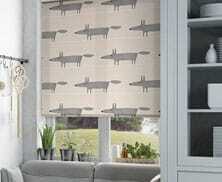 The size of your prize is restricted to the minimum and maximum sizes as shown on Blinds Online. 5. The prizes are non-transferable and no change will be given for orders made under prize value. 6. The winner will be contacted via telephone or email after the competition has closed. If the winner cannot be contacted within a reasonable time period or is not available to accept the prize, Blinds Online reserves the right to award the prize to another entrant. 7. Entries made online using methods generated by a script, macro or the use of automated devices will be void. 8. By entering this competition, you are deemed to have accepted the terms and conditions and agree to be bound by them, as well as any terms and conditions set by the promoter.